The team spent months rethinking the mobile experience and the result is a beautiful interface with more intuitive design that makes the process of snapping photos of receipts and submitting reports easier than ever. A few things to highlight about the new design are the Expenses tab as the new home screen, the Launcher, the seamless tab bar and general refreshes all around. Out with the old…. …and in with the new! When you opened the Expensify app in the previous version, we took you to the Create Expense screen, which was really a dashboard of sorts. 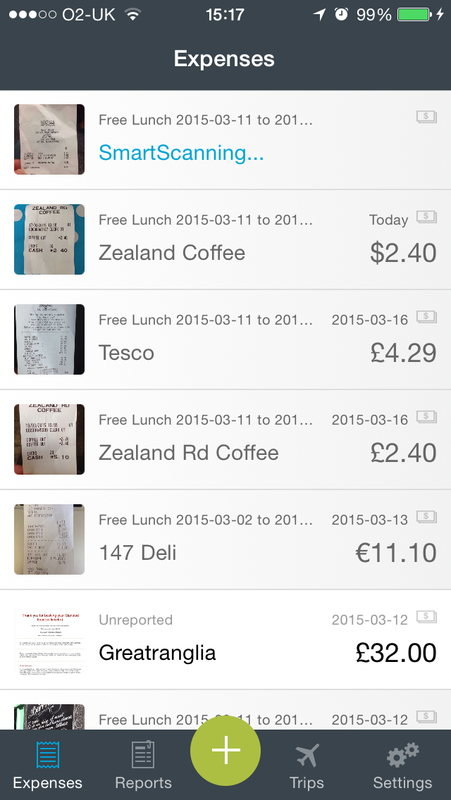 However, from user research and feedback, we realized that the Expenses tab is the most commonly accessed tab. As a result, we changed the home screen to reflect user behavior, saving you an extra tap. 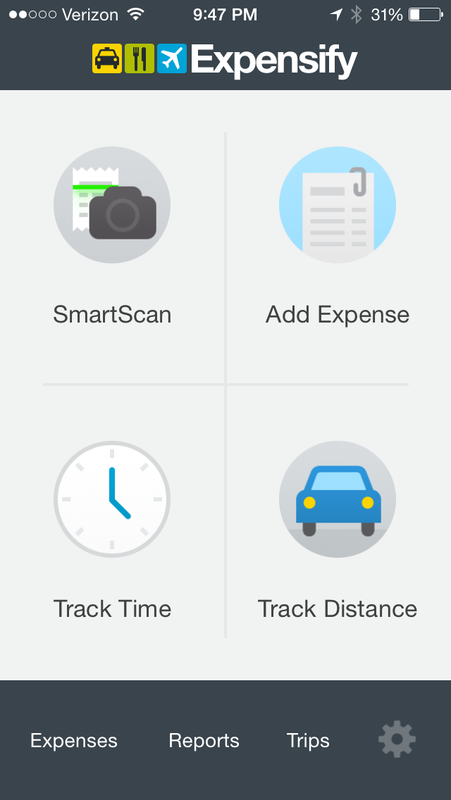 With the new home screen, we also made it easier to create a new expense. Simply click on the Launcher, that green plus button at the bottom of the screen, and you’ll be able to easily create an expense by tracking distance, SmartScanning, manually adding an expense, or by tracking time. This new layout not only makes it easy to create an expense, but it looks great as well. We created a universally accessible, updated tab bar at the bottom of the home screen to help save you time on every expense you create. 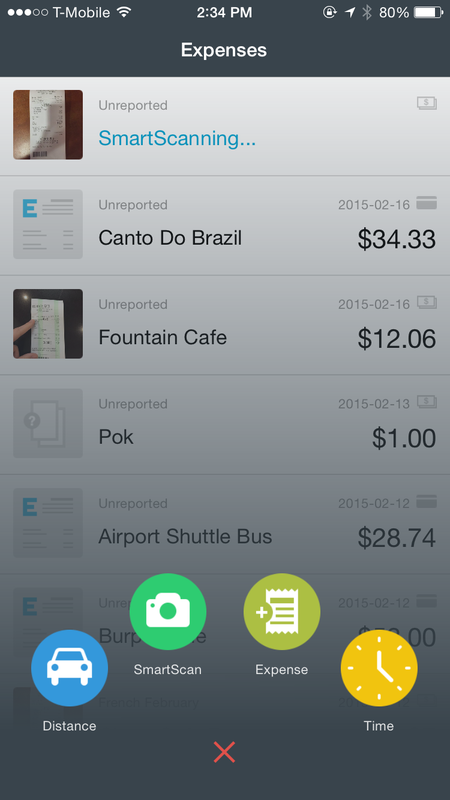 Now, you can go directly from Expenses to Reports to Trips, all in one tap. Talk about seamless navigation throughout the app! With the new mobile updates also comes a visual refresh. As an example, check out the Reports page. By making the text easier to read and adding in other contextual elements of reports, such as whether a Reimbursed report is “Confirmed” (i.e. the money has arrived) and whether an Open report was Rejected, we’re making it easier than ever for users to quickly see the status of their report with these new embellishments. With every new change to the app, we’re making expense reporting on the go faster, easier, and more efficient for the end user than ever before. With a ton of new features and improvements lined up this year, the new mobile home screen is just the tip of the iceberg. Tell us what you think about the new mobile home screen in the comments below. If you have any questions or want to sign up for a free trial, feel free to write to us at help@expensify.com!